1. Eating out – Limit eating out, but when you do, order something off the healthy menu. Always! Never order fries, but steal some of the persons next to you. It will satisfy that craving, and not leave you feeling like you have over eaten. If you order a burger, share it with someone else. Or, cut it in half and save the rest for later. The point here is moderation, because most restaurants serve portions that are way too big. With that said, portion control should be part of your life strategy. 2. Shop on the outside aisles of the grocery store. Buy fruits, vegetables, and food in its whole form. If it comes in a box, shy away from it. Do not buy fruit juice even if there is no added sugar. Real fruit is better, because of the fiber, your body processes it better. 3. Make water be your best friend, and drink a lot of it. Don’t confuse hunger for thirst. Your body cannot live without water. 4. Snacking between meals – Yes! Do it often, but limit the amount and do not eat mindlessly while bored. Snack on nuts, berries and vegetables. Get creative by adding other fresh items like salsa or for instance a piece of cheese with an apple. The taste variation is surprisingly satisfying. Bread, especially white bread, instead, eat whole wheat that is full of nuts and seeds. Follow this bread rule: if you can squish it, don’t eat it. 7. This is the MOST important rule of all: LOVE yourself, no matter what your size! Eat healthy and you will begin to feel fantastic. Your skin, mental attitude, and energy will all increase. You will lose weight if you stick to eating like this. Also, it is time to stop being mad at yourself when you eat a whole bag of cookies. We all do it! Don’t decide after that point that you just can’t eat healthy. Just don’t do it every day. 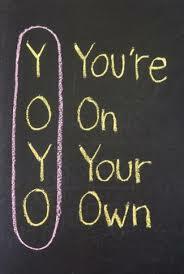 Stay on track…don’t be a yoyo! If it isn’t a lifestyle, it gets difficult to keep up with, that’s my philosophy about dieting.